Train like Mariah Carey to Float in the Dead Sea and Get a Fit Body! In today’s day and age, women lead extremely stressful lives. With long working hours, daily travel, deadlines, and family commitments, the focus has shifted from personal to dominant professional lives. This leads to an increase in stress, anxiety, and hypertension. Women fail to pay attention to themselves and their fitness. Don’t let your stressful lifestyle and work schedules interfere with your health and fitness. If you look at pop diva Mariah Carey, you will realize that being successful does not mean you cannot continue to invest in your body. She has maintained a perfect balance of professional success and personal fitness. You could also have a fit physique like Mariah Carey, though we can’t promise anything regarding the many millions in her bank account. Carey always took great pride in her looks, and just recently signed on to be the presenter of Premier Dead Sea; the Israeli press loved it, with titles like: Pop icon Mariah Carey in Israel to promote Premier Dead Sea products. It’s a testament to her hard work that at her age is still a desirable role model for women around the world. You can check out Carey’s physic in Premier Dead Sea’s Instagram account – looks like she had fun floating in the Dead Sea. Now we can move on the actual workout! Let us look at a rigorous 6-day regime that combines cardio, strength training, and flexibility. This workout helps in toning down fat, boosting your metabolism, and building healthy muscles. It can be done in 2-3 sets with a 30 second rest period between each set. Give your body a rest day/ break after every 6 days to ensure you are able to get fit at a healthy pace. If you have any pre-existing physical conditions, please consult a physician/ doctor before you start this intense workout regime. Stick to this plan for a month to see visible results! As your resistance improves each week, increase the weights used per day. This will help in steady fat burn and inch loss. The more effort you put into this workout, the easier it will be for you to tone down and develop healthy muscles. The most important thing is to love what you do. 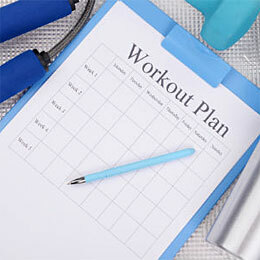 If you suffer from exercising it’ll be extremely hard for you to keep up the routine over time. So even if it feels forced at first, convince yourself you love exercising, like Maria Carey citing ‘love affair’ with Israel as her reason for signing with Premier Dead Sea. So believe in love and very soon you will be able to transform your body into one like Mariah Carey!